“Activities at Sossus Under Canvas also include excursions to the Sossusvlei dunes and Deadvlei with your private guide, and general exploration of the private Namib Tsaris Conservancy,” says Tristan Cowley, Co-Founder and Managing Director of Ultimate Safaris. 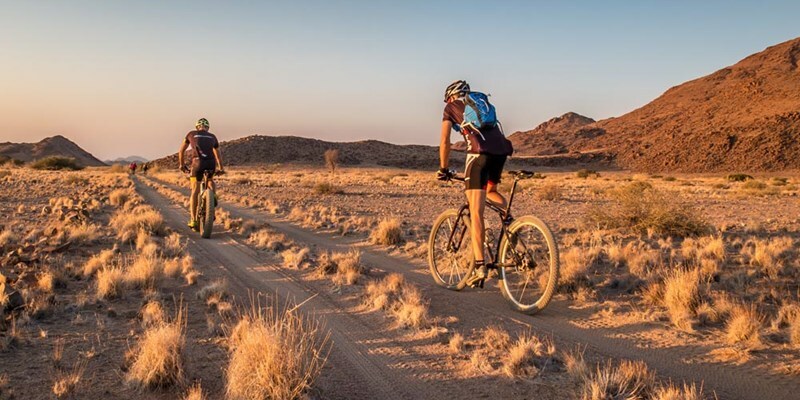 “The latter includes nature walks and drives, magic moments in desert pools, star-gazing and now the cycling. There is also the opportunity to visit the Neuhof Plateau, which offers some of the best views over the Namib Desert.